A job posting appeared on Friday from Square Enix, looking for "core members" of the Final Fantasy VII Remake project. It appears that this specific listing is for a level planner, laying out areas in the Remake world using Unreal Engine 4. The listing also mentions potential roles for battle planners, designers, and engineers (in this context, likely game developers), with some of those roles coming from inside Square Enix and others being outside hires. Part of this news was new to me in the case that the development of the game was previously being done outside of Square Enix, by a company called CyberConnect. Now it appears that headquarters has fully assimilated the project, hence the need for some hiring and organizational shifting to accommodate the work. This news is also a bit illuminating as a look inside the company's practices that I personally haven't seen before. At least for this role, they are not looking for a minimum level of experience, implying that the hiring will be done based mainly on prior portfolio. The salary starts at about USD $34,000 a year, with no upper bound mentioned; that would seem to me like they're willing to bring in a very junior person for this specific role if necessary. I don't know what game devs typically make in Japan, but I do know that you wouldn't get much of a developer here in the States for that money. They also promise a forty-hour work week, which I would find a little difficult to believe in this industry and on a game of this importance. The other big conclusion you can draw from this is probably a bit more sad - if they're just now bringing the work in house and are hiring for roles like these currently, that would probably indicate that there hasn't been much progress in development yet. I wouldn't hold my breath to see much new this year, though the late-year Tokyo Game Show might be an option. Final Fantasy XII: The Zodiac Age, the remake of XII for PlayStation 4, will be out July 11 in the West and July 13 in Japan. Dissidia Final Fantasy: Opera Omnia will be out in Japan on February 1 for iOS and Android. There will be a further livestream about this game later today. World of Final Fantasy will get Balthier as free summon DLC at the same time as Patch 1.03, which is not yet confirmed for release. A series of Final Fantasy XV DLCs have been scheduled. First, on February 21, the "Booster Pack" will be released, containing a Magitek Exosuit to give you a once-a-day window of invincibility for 30 minutes (and also make you a better fisherman). On March 28, there will be a story where Gladiolus is the playable character, not Noctis. Same for Prompto, though his DLC is sometime in June. There have also been two new marketing screenshots released as part of the meetings today, and they're pretty cool. One is from Final Fantasy VII Remake, and shows Cloud in Midgar with a giant, looming Seraph Sephiroth in the background; the second is from Kingdom Hearts III, made to emulate the famous Final Fantasy VII artwork where Cloud looks up at the Shin-Ra Building. The VII Remake image would make a fantastic desktop wallpaper, too, click through to see it full-size. Rumor Mill: Final Fantasy VII Remake Delay? As mentioned in CoN news earlier, Square-Enix's new partnership with Marvel is confirmed and will clearly be this huge, big-budgeted Juggernaut™ with multiple collaborative releases expected over the next several years. Marvel's stories and characters in a Square-Enix graphics engine? The possibilities are endless! What's not to love? Well for one, this could potentially be responsible for a possible setback in the schedules of one or several big titles Square-Enix slated to release over the coming years. FF7 is already rumored to be pushed back, possibly into 2018. 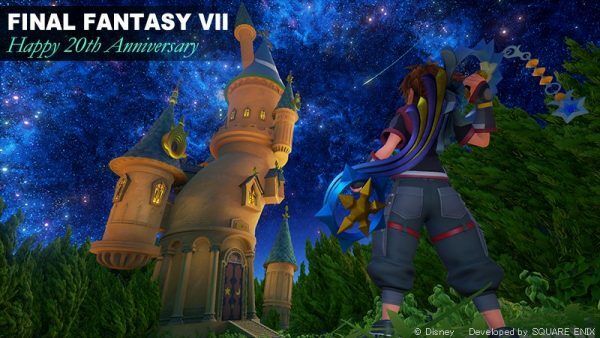 According to express.co.uk (source below), game director Tetsuya Nomura indicated that they have a full schedule for the year including a priority on Kingdom Hearts 3 over all else, and that the FF7 Remake delay is highly likely. While they did not explicitly state that the Marvel collaboration had any connection, more details (and hopefully the release date!) should be coming when the director attends the Monaco Anime Game International Conference (MAGIC) on February 18th. If true, does this make you feel any less thrilled about the FF7 Remake? We know what happens when this company begins to delay games...! And soon! On February 6, the game released in 2015 in Japan and 2016 elsewhere will be released on Steam. Mobius is a Final Fantasy game that, unlike most mobile titles from Square Enix, was developed for higher-end systems using Unity, which should make it a more interesting visual experience on desktops; this version of the game was released in Japan late last year, so one would assume that it will be a relatively trouble-free version for gamers to play. The game's director, Naoki Hamaguchi, told the English Square Enix blog that the game will support resolutions up to 4K and that many players will be able to expect framerates of 60 to 120 FPS, which would certainly be a departure from some PC games the company has released in the past. Though the release over here is only a week away, the game does not appear available for pre-order in the Steam store currently, so it's not possible to confirm pricing at this time. The release is timed for a global event in-game. Starting the next day, February 7, a tie-in to the Final Fantasy VII Remake will begin that will feature Cloud arriving in Mobius' world, Palamecia, to fight alongside the game's protagonist Wol in a yet-unannounced scenario. 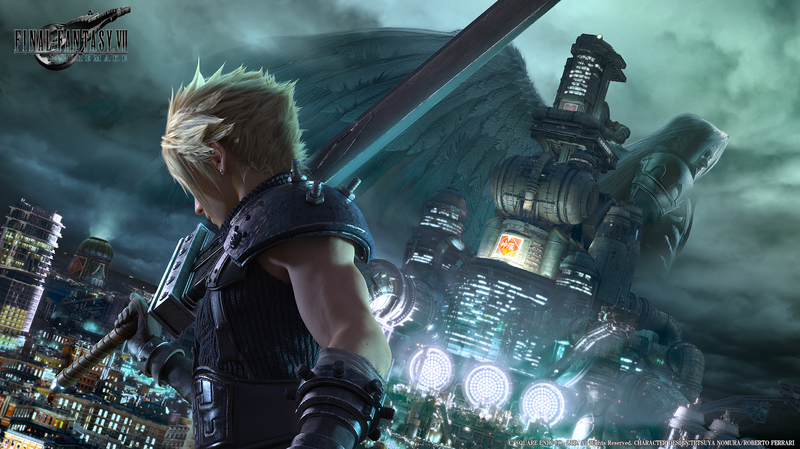 Hamaguchi explained that the assets used to build Cloud and any other Final Fantasy VII-related assets used in Mobius were drawn straight from the assets built for Final Fantasy VII Remake, so Mobius will be the first opportunity for most players to see any live glimpse of what could be coming in Final Fantasy VII's future.